Protests in southern Iraq have left at least five dead and 190 injured as they entered an eighth day, a human rights body said Monday, AzVision.az reports citing Anadolu Agency. The protests have been taking place in the cities of Basra, Maysan, Dhi Qar, Najaf, Karbala and the capital, Baghdad. 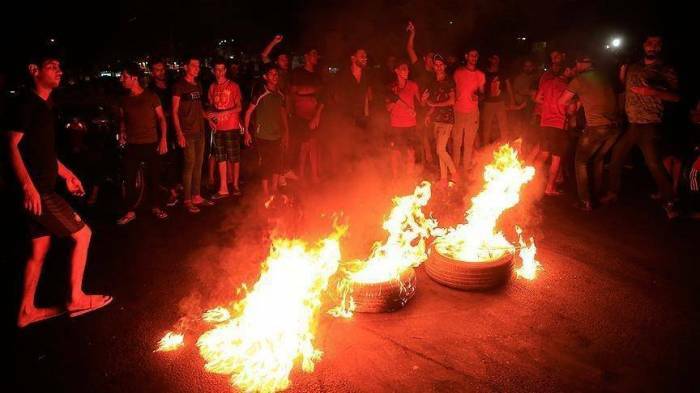 Tensions have steadily mounted in Basra since last week when a demonstrator was killed by security forces while taking part in protests against high unemployment and chronic power outages, with the protests spreading to several other provinces. Roughly 80 percent of Iraq’s crude oil exports originate from oilfields in Basra province.